The bright contrasting colour of this Red Toilet Surround helps to remind people suffering from Dementia where the toilet is located. 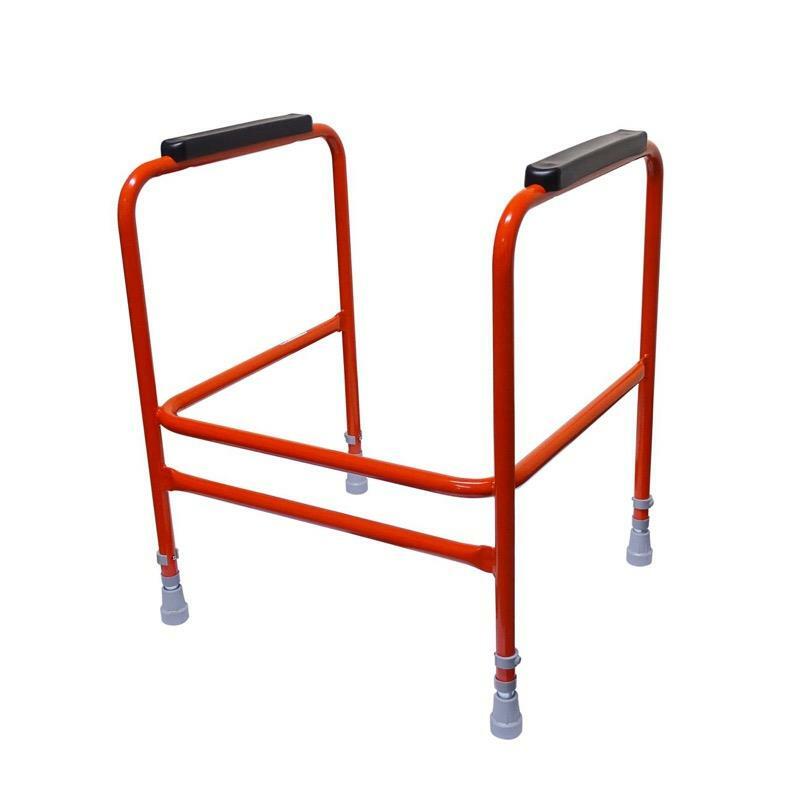 The frame is height adjustable and features padded arms and non-slip feet. This bright Red Toilet Surround helps remind people suffering from Dementia where the toilet is located and therefore helps reduce the confusion and distress involved when visiting the bathroom. The frame provides assistance when lowering and rising from the toilet and the padded arms provide additional grip and comfort. It is height adjustable and features non-slip feet.